With Thanksgiving almost here, you may be stocking up on Tupperware for the mountain of leftovers you are sure to have. Why not repurpose those leftovers into treats for your dog? Listed here are homemade treat recipes that use common Thanksgiving foods. If you have leftovers of everything, consider substituting this thanksgiving bowl for a few of your dog’s meals. Not only will your pup enjoy the change in routine, but you will have less food waste (and less turkey fatigue). To make nine, 1-cup servings (serving size is ¾ cup for small dog, 1 ½ cups for medium dog, and 3 cups for large dog), combine 3 lbs skinless cooked turkey pieces, 1 cup cooked oatmeal, 1 lb cubed, cooked sweet potatoes, 2 TBSP cranberry sauce (optional), and 4 TBSP turkey gravy (optional; if omitting, replace with olive oil). 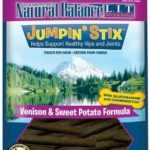 Combine the ingredients and feed to your dog in place of kibble. Omit the gravy if your dog is prone to pancreatitis or is already overweight. This meal can be fed long-term as well, and if doing so make sure to supplement calcium by adding 400 mg per cup of food. This recipe is perfect if you have leftover canned pumpkin, but don’t want to make another pie. Alternatively, if you prefer not to bake, you can substitute a quarter cup of canned pumpkin for a ¼ cup of your dog’s food. 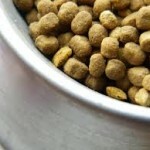 This is particularly good for dogs that are overweight, as pumpkin is low in calories while high in fiber. In one bowl, mix together the flour, oats, baking powder, cinnamon, ginger, and allspice. In a second bowl, whisk oil, pumpkin, and peanut butter. Combine the wet and dry ingredients together until smooth. Once the mixture reaches a dough-like consistency, turn dough onto a floured surface and knead until no longer sticky. Roll the dough to ¼ inch thickness, and cut out desired shapes. Bake pumpkin pie bars on greased cookie sheet for 12 minutes, then turn off the oven and allow cookies to rest (in oven) for an additional 30 minutes before transferring to a wire cooling rack. Recipe yield is 100 1-inch treats. Cookies can be stored in airtight container for 2 weeks. Whether you have leftover cooked, raw, or roasted sweet potato, you can repurpose this vegetable for your dog. Slice raw sweet potato and toss with olive oil before baking at 400o F for 20 – 30 minutes. The resulting sweet potato crisps make great dog treats. If you have cooked leftovers, turn them into sweet potato bites. Preheat the oven to 350o F, and then combine 1 cup cooked sweet potato, 2 ½ cups flour of choice, ¼ cup applesauce, and 2 eggs. Mix the ingredients together until they form dough. Next, turn the dough out onto a flour-covered surface and roll to ½ inch thickness. Using a cookie cutter, cut the dough into desired shapes, or simply use a knife to cut the dough into strips. Arrange the pieces onto an ungreased baking pan and bake for 35 – 40 minutes, or until crisp. Recipe yields 32 dog treats. After Thanksgiving, there are only so many recipes you can make with leftover turkey. 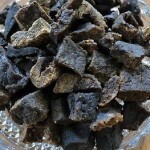 Once you are tired of turkey pot pie, turkey soup, and turkey sandwiches, consider making jerky treats for your dog. Slice the turkey into thin strips, and place them in a food dehydrator or on a lined baking sheet. 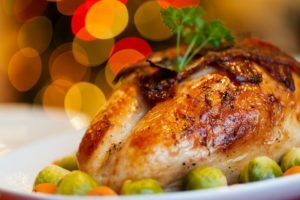 If using the oven, set the temperature to the oven’s lowest setting and dehydrate the turkey for 4 – 6 hours, or until the meat is completely dry in the center. This recipe is great if you have both leftover turkey and cranberry. While the original recipe calls for dried cranberries, cranberry sauce can be substituted for a slightly different consistency (additional flour may be necessary). Preheat the oven to 350o F. Next, combine flour and baking powder thoroughly and then add in cooked turkey and cranberries. After fully mixed, stir in egg, oil, and water or broth. If necessary, add additional water/broth 1 TBSP at a time until dough consistency is reached. Turn dough out onto floured surface and roll to ¼ inch thickness. Cut out desired treat shapes, and then bake on greased cookie sheet for 25 minutes. Finally, turn off the oven and allow cookies to rest for 30 minutes to create a crisp treat. Recipe yield is 45 servings. When using leftovers to cook for your dog, bear in mind that certain ingredients may be hazardous to your pet. Anything containing onion, garlic, or raisins should be avoided. If you have a small dog or one that is prone to pancreatitis, fat levels should be closely monitored. 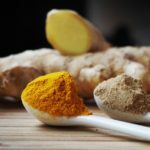 Certain spices, when fed in excess, can also be harmful. These include nutmeg, cinnamon, paprika, salt, onion powder, garlic powder, cocoa powder, and turmeric. If repurposing sweetened leftovers (i.e. cranberry sauce or roasted sweet potatoes), do so sparingly. While excessive sugar in itself is not dangerous, it can lead to hyperactivity in dogs. Never give your dog anything labeled “sugar-free,” as it may contain xylitol which is highly poisonous to pets. Do not give your dog cooked bones of any kind, or any type of raw poultry bone, as both may splinter and cause GI distress. Finally, if ever in doubt, restrict the use of leftovers for your pet. «Is a Weimaraner Right for You?